Home > Top Stories > How sincere is timing of ED’s farming inputs? How sincere is timing of ED’s farming inputs? THE timing of the Zanu PF government’s decision to start distributing farming inputs under the presidential scheme this month — just a few weeks before crucial pools — raises a lot of stink as it is clearly a vote-buying gimmick. It is quite surprising that President Emmerson Mnangagwa recently indicated that the scheme will be implemented immediately when we know that farmers have consistently criticised government’s lackadaisical approach in the past seasons, with inputs being delivered way after the summer cropping season. The speed with which it is being implemented now raises a lot of suspicion. 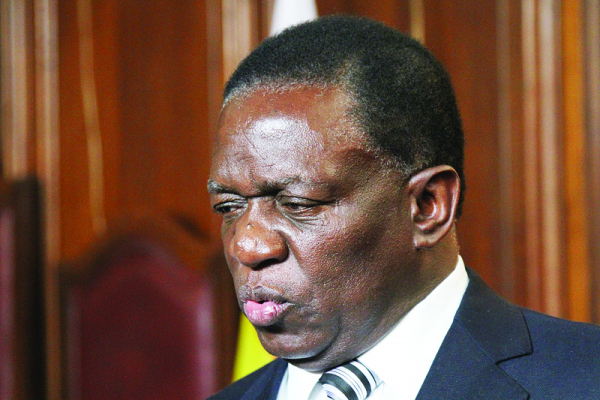 In just seven months at the helm of the country’s top office, Mnangagwa recently justified this unusually early inputs distribution under the notion of his administration’s ‘self-perceived competencies’, despite the evident myriad of other challenges that he has dismally failed to tackle including the ongoing cash crisis. Apart from the implications which point towards a desperate attempt by the Mnangvagwa regime to buy votes from farmers whose plight has been ignored for a long time, the dishing out of the inputs also goes against the dictates of the Electoral Act which bars political parties from such lucid tendencies of vote buying. The major question now revolves around Mnangagwa’s sincerity: is he really eager to address this problem that has perennially afflicted farmers or he is just out to buy votes? The timing and gesture raise eyebrows. Maybe, the Zanu PF presidential candidate, who assumed power on the back of a military intervention last year, is indeed sincere in improving agriculture, given how some sections of the society have labelled the command agriculture programme as his brainchild. But another and clear possibility is that indeed Mnangagwa is desperate to appease the farming community which forms the pinnacle of the country’s agrarian economy ahead of the elections, and he might not have anything tangible to convince them to gain their vote, apart from just mere politicking. Mnangagwa has also announced that the gains of the land reform programme can never be reversed. This was a departure from his earlier stance when he indicated soon after coming to power on November 24 last year that some white farmers would get their land back so that they can continue farming. It would be indeed victory for both the agricultural community and the country at large if Mnangagwa is indeed sincere and not just playing politics as had become the enduring culture in Zanu PF. Farmers will always need inputs earlier, something that the Zanu PF government failed to do in recent years and moving forward this should and must be the norm if at all agricultural output is going to increase.